Good morning and Happy Wednesday! 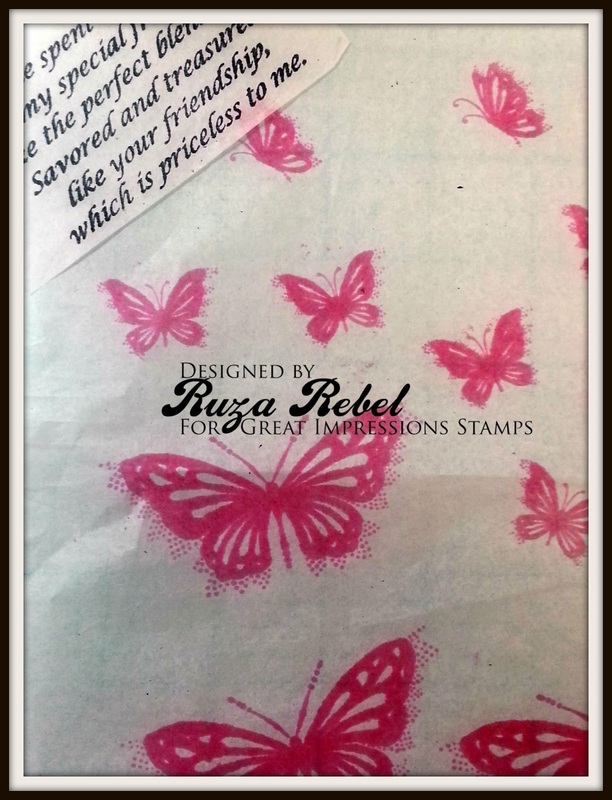 Ruza here to share another project featuring the awesome Great Impressions Stamps. I enjoy Altering Candles with stamped images so I created a candle for my friend to be given with the card I created for last months Challenge. Details about the above card can be found here. I stamped the Savored & Treasured (G82) sentiment and the Elegant Butterflies (J119) onto tissue paper, and cut around each image. Using wax paper and my heat gun I adhered the images to my candle. 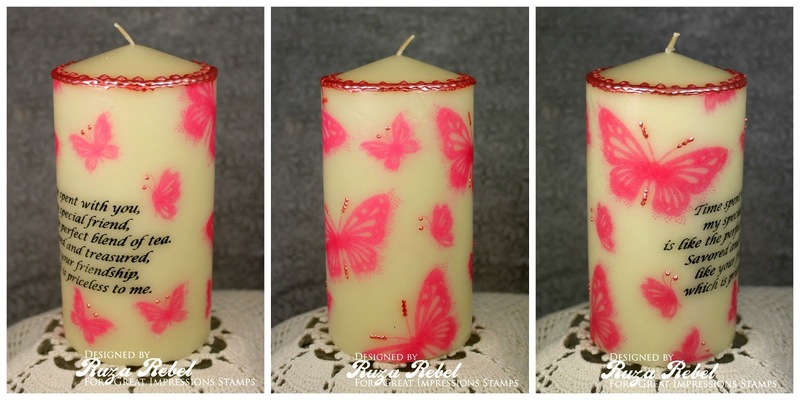 Once all of the stamps were attaached I applied Petal Pink Liquid Pearls to the antennas of the butterflies and then around the top edge of the candle. These make amazing gifts and they really are easy to make. There is an awesome Tutorial over at Splitcoaststampers for Stamping on Candles, which includes a video showing you how it's done. What a beautiful gift set for your friend! She's going to be delighted to get this! Great job! Fabulous! I love the creativity here, Ruza.....well done! Wow, what a great gift set this is! I hope she is thrilled!